Tributes have poured in for a much-loved Worthing man who died after being found unconscious in the town. Terry Dumbrell was found unconscious in Denton Gardens on March 17, police confirmed. He was taken to Worthing Hospital where he sadly died, police said. His death is not being treated as suspicious. The 52-year-old, who suffered with mental health issues, was living at an assisted living facility in the town. But he spent most of his time out and about and was known by local businesses – some which have since expressed their heartbreak after finding out about his death. Nancy Taylor, a supervisor at Finch in Warwick Street, said: “I remember when I first met Terry. He came into the restaurant, I couldn’t quite work out what he was saying but he immediately put a smile on my face. “Since then he popped in pretty much every day, and with each visit, a bigger place in my heart grew for him. “From his hilarious, mind-boggling one-liners to his sweet facial expressions, he was the highlight of our working day. “As much as this devastating tragedy has hurt me and all those that loved him, it’s made me so grateful for all the wonderful times I’ve been lucky enough to have spent with him. “You don’t realise how much a person has an impact on your life until they leave and Terry definitely had a big one on mine. Kristal Fox, manager at Finch, said Terry was a 'gentle soul' who treated others with kindness and compassion. 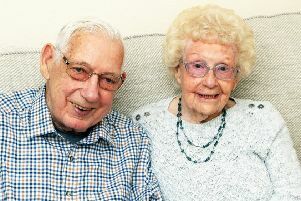 She said his regular visits 'always brought light and laughter'. She added: "I find myself looking for him still, waiting for him to wander up to the doors waving his peace signs and strumming his air guitar. His passion for music was infectious, and I loved the story that one of his shoes once belonged to one of the Gallagher brothers. Knowing Terry, it could have been true." Katie Chilton, a waitress at Finch, said Terry always put a smile on her face. "Keep playing those tunes, peace and kisses," she added. Annie Midali, floor staff at Finch, also said: "I will definitely miss seeing Terry on my way to work in the morning - having a little rave. "He always used to tell me what he was listening to and tell me he needed to get to the end of the song before stopping. "He was always so polite and friendly and without fail used to make me laugh or smile. A real one of a kind!" Christiaan Jones, at The Griffin/Sneakerlab in Warwick Street, said Terry was a 'lovely and kind soul', adding: "He will be missed. We will never forgot all the amazing stories he shared with us from his earlier days." A Sussex Police spokesman said: “At 6.45am on Sunday, March 17, a man was found lying on the ground in Denton Gardens, Worthing. He was unconscious and was taken to Worthing Hospital where sadly death was confirmed soon afterwards. Terry’s funeral took place at Worthing Crematorium on Tuesday (April 9). His family said he was a ‘much-loved son, brother, grandson, nephew and uncle’, who will be sadly missed by all those that knew and loved him. Donations can be made in Terry’s memory to Mind via http://terence-dumbrell.muchloved.com.